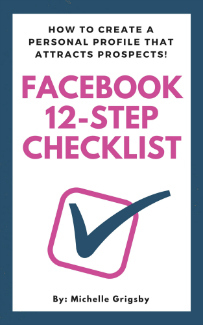 "FREE Download: Reveals the 12-step Facebook checklist to make sure your Profile will attract the right people to you!" Enter your name and email to get instant access to this limited time offer! Spam is gross and spammers are the worst. Your info will never be shared or sold. Pinky swear. Plus, You'll Get Extra Bonuses For Subscribing!